It is the first time I have made jam from this combination, and essentially I used the 40:60 mix from FAO’s Generic Jam Recipe. The mix of Mandarin and Lime was simmered for a while to extract Pectin, and the measured pH was 3.3, so no Citric Acid or Bicarbonate was needed to correct pH. 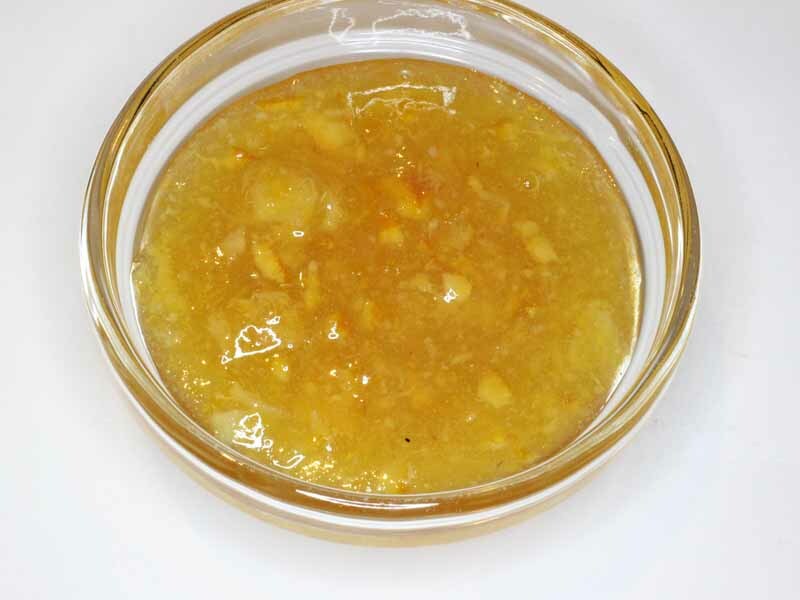 Pectin was added as above. Endpoint was assessed by measuring Brix using a refractometer, weighing and , confirmed by setting a drop of jam on a cold plate. Weighing with digital scales is a really convenient check on cooking. 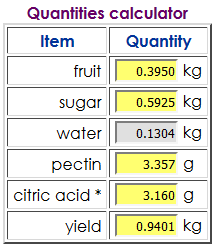 The pot weighed 1144g empty, so the end point was when the pot + contents weighed 1144+940=2084g.